To understand physical therapy (PT) and occupational therapy (OT) staffing levels in nursing homes and to examine their relationship with quality of care. Discharge to skilled nursing facilities (SNFs) is common in patients with heart failure (HF). It is unknown whether the transition from SNF to home is risky for these patients. Our objective was to study outcomes for the 30 days after discharge from SNF to home among Medicare patients hospitalized with HF who had subsequent SNF stays of 30 days or less. The association of race, ethnicity, and socioeconomic factors with survival rates of nursing home (NH) residents with treated end-stage renal disease (ESRD) is unclear. We examined whether race/ethnicity, ZIP code–level, and individual-level indicators of poverty relate to mortality of NH residents on dialysis. 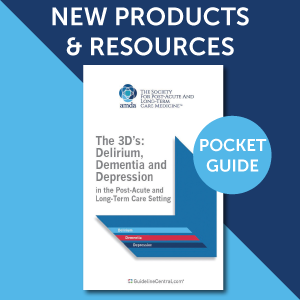 Neuropsychiatric symptoms (NPS) have been recognized to increase the risk of dementia among individuals with mild cognitive impairment (MCI). However, it is unclear whether the risk is shared across the various NPS or driven primarily by selected few symptoms. This study sought to provide confirmatory evidence on the comparative risk of dementia across the various NPS in MCI. Evaluate the influence of social factors on admission to aged residential care (ARC) facilities using a national comprehensive geriatric assessment database in New Zealand. During recent years, syncope studies have included an increasing number of older subjects with multimorbidity.1–4 Moreover, increasing awareness of pathophysiology today allows a more accurate differential diagnosis of this condition.5 Yet how syncope etiology changes with advancing age and increasing multimorbidity is still unclear. The present paper thus aimed at comparing and discussing the results of 3 multicentre studies, and analysing how syncope etiology changes with age and the presence of chronic conditions, with a specific focus on dementia.